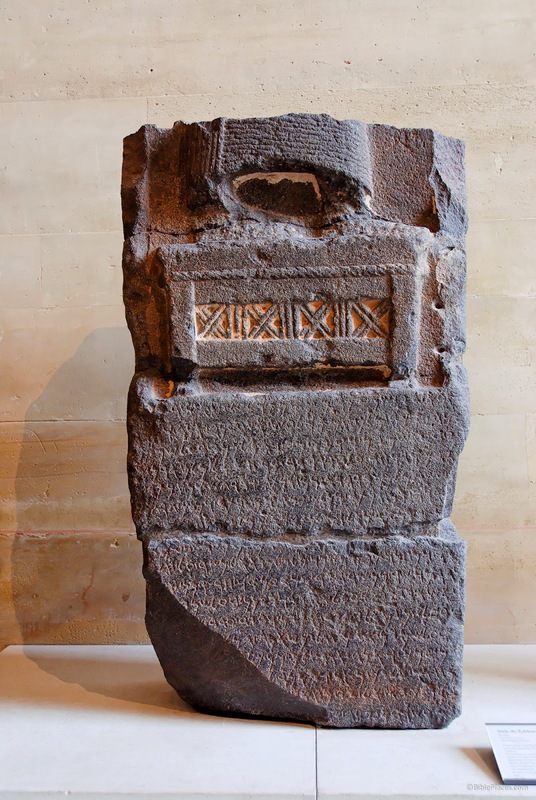 This inscribed basalt slab is known as the Stela of Zakkur. It refers to the Aramaic king Hazael who is also referred to in the Bible in such passages as 1 Kings 19:15. The item was discovered in 1903 at Tel Afis in Syria and dates to approximately 800 BC. The artifact is about 24 inches tall and the language is Aramaic. It is now located in the Louvre.